Weleda contributes to a world in which people and biodiversity strive. 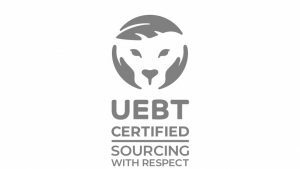 The UEBT label for „SOURCING WITH RESPECT” certifies that biodiversity is being protected during the cultivation, harvesting and further processing of the natural ingredients we use. It also shows Weleda’s commitment to paying everyone in their supply chain fair wages and treating them with respect.